You are a talented music producer, but something is missing when a DJ plays your song? There is a lack of audio quality compared to other tracks on streaming services like Spotify? On some speakers, your production sounds dull, harsh or muddy? How are your possibilities? Do you have lousy room acoustics or weak studio monitors? Are you overwhelmed, with all the Plugins when making music with a DAW like Ableton? I understand that it also took me a few years when I started producing music in 2004. Many mistakes where made! Are you worried your Mixing or Mastering skills could be better? Then I'm here for you to help. I am adding the last missing percentages in sound quality to your audio production. To deliver a huge sound, even on club sound systems or a small radio. ✔ Excellent sound leads to an exceptional listening experience. It's vital for your success, to stick out of the crowd! Nobody likes to listen to low-quality audio. Inadequate bass response and shrill high frequencies are some common problems. Through precise mixing and mastering techniques, here at mastrng.com Berlin I help to achieve the desired results. Get better Sound Quality for your music. That pro sound your favorite producers already have. My goal is to improve your Music with highest-grade audio tools on the market. With my experience, working with digital audio software for about 15 years and studying sound design. I can optimize and solve most of your problems as a composer. Some other services might be cheaper. When using artificial intelligence or have automated audio processing. Here you can communicate with me to achieve the best possible outcome. Solving individual problems is my advantage here at Mastrng.com Berlin. Because having satisfied musicians and offer excellent service is essential to me. My service is for artists who want to be victorious in their artist career. Take your next step as a musician and get pleasant audio quality for your audience. You get my full support for competitive sound with your coming release, to get the most out of it. Are you ready for your Sound Improvement, to make your next Songs even better? Then I start the audio optimization - After 1 to 3 days, you get back the mixed, mastered file. Don't worry, with my service you have unlimited revisions. We'll work on the song until you're satisfied. Okay, not as tricky as you would have thought? Stop not making the most of your potential as an artist. Be creative; take your time and stay focused. Be confident and enthusiastic while producing music: to achieve the best! Inspire your listeners with powerful Kicks and warm, groovy Basslines! Be noticed with your Single, EP or Album production. No matter if enjoying music on the road with headphones or while dancing in a club. Music knows no borders! Thanks to the thousands of artists and music lovers who visit mastrng.com every month. Improved Results with Room and Speaker measurement by Sonarworks, for precise linear Sound. ✔ Club, Streaming and Download shop optimized Mastering for Spotify, Apple Music, Deezer, etc. Mastrng.com is a specialized mixing, mastering service, for electronic music artists. 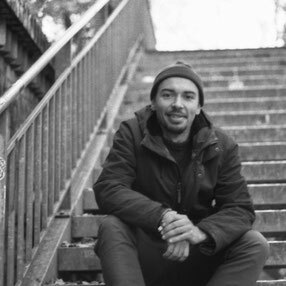 I am based in Berlin a city with a significant impact on electronic dance music, with its urban club scene. Optimize your house, techno, and electro tracks is what I do — providing top-notch audio to musicians, producers, music makers, and singers. I'm focused and passionate about techno/house music and the club scene for many years now. My equipment and experience allow me, to offer you an outstanding warm and analog sound. Here you get fast editing of your tracks, at affordable rates. How do you feel about your own music production, after years of trying to mix and master your own songs? Do you still find it difficult to achieve your desired audio quality target? Let me do the work to get the essential refinement, and add more value to your music. Let me help to increase the quality of your tracks with my trained ears. I'm most experienced with mixing and mastering all styles of club music. So i can create the most pleasant and fabulous results with the following styles. To name a few, these are the types of music I prefer to work with. Besides, i supply all genres of hip-hop & rap, trap, boom bap, ghetto house, breakbeat, instrumental mixtapes /beat productions and more. Mastering and Mixing is Art in perfection. If you have bad room acoustics and speakers, it's not easy to achieve good sounding results. Learn the difference between Mastering and mixing. 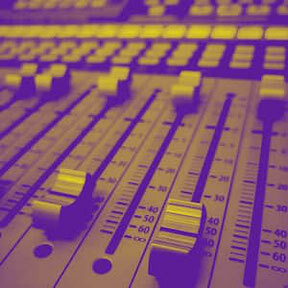 Mastering involves editing one mixed audio track. To get a balanced sound and right loudness levels. If your mixing skills are excellent, mastering your song is the right choice for you. Give your song the icing on the cake, for a release on vinyl or online distribution services. 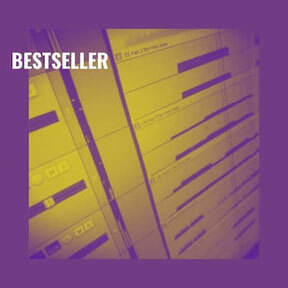 After the mastering process, your song is ready for streaming and downloads shops. Start to distribute your Songs to Spotify, Apple Music, Itunes or Beatport. 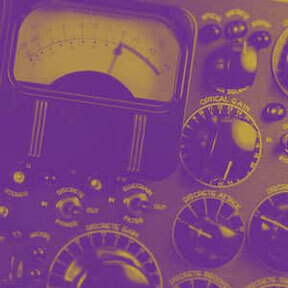 Listen to some of my Mastering samples, by using the web player. When Mixing, I have access to all individual instrument tracks. I edit and optimize them down to the smallest detail. Get your Kick and Bass balanced. Or Reach that big 3D sound for your synthesizers, vocals and organic instruments. Let me help you with mixing your songs, to get deep, punchy Drums sounds. I use high-quality reverb, compression, saturation and EQ effects. To achieve a brilliant sound for all parts of your song. What do clients say about my service, after receiving their audio files? How to Master a Song? What Is Mastering?